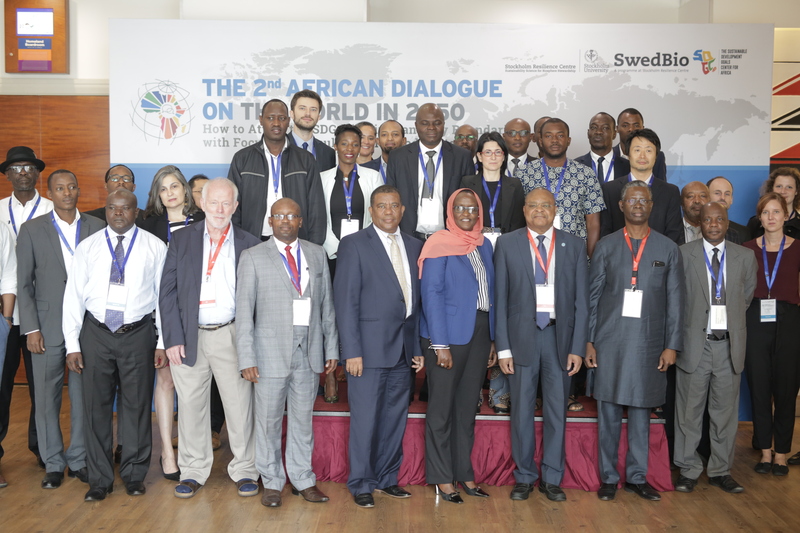 The Sustainable Development Goals Center for Africa (SDGC/A) in partnership with the Stockholm Resilience Centre (SRC) hosted the second African Dialogue on the World in 2050 (TWI 2050) from 30 – 31 October 2018 at the Park Inn by Radisson in Kigali, Rwanda. During the workshop, participants from policy makers, business leaders, academicians, researchers and representatives from farmer organizations and civil society identified African regional pathways that enrich the global Sustainable Development Pathways and support of the implementation of Agenda 2030.
the first African Dialogue, the SDGC/A and SRC, found it necessary to organize a second African Dialogue with the theme How to Attain the SDGs within Planetary Boundaries with Focus on Agriculture and Food Systems. The opening ceremony of the workshop was officiated by Dr. Belay Begashaw, Director General of the SDGC/A; Dr. David Phiri, Sub-regional Coordinator for Food and Agriculture Organization of the United Nations (FAO) Eastern Africa and FAO Representative to the African Union and United Nations Economic Commission for Africa, and the keynote address delivered by Ms. Fatina Mukarubibi, Permanent Secretary of the Ministry of Environment of the Republic of Rwanda. Dr. Belay Begashaw, Director General, SDGC/A indicated that agriculture plays a dual role in African context: the first role is saving the environment and climate change on one hand by increasing agriculture productivity to increase income. The second role he noted in that agriculture productivity eliminates negative impacts to the environment. “If we do the right activities in agriculture they will cover the environment, but if the climate change is dominating agriculture productivity, agriculture will be in a bad condition because the productivity will be low. In this kind of session, we want to see how adaptation process will be encouraged and harnessed, we need to see how we can invest more in adapting to climate change around agricultural activities,” Dr Begashaw stated. (FAO) Eastern Africa said that Africans need to think different ways to better implement SDGs on how to eradicate hunger. Dr. Phiri for political will that is at highest level so that African governments and states can manage to eradicate hunger and use climate smart technologies to mitigate climate change effects. “We are making progress in reducing hunger over the past ten years, now hunger is increasing, and it will be difficult for us to reach the SDGs. 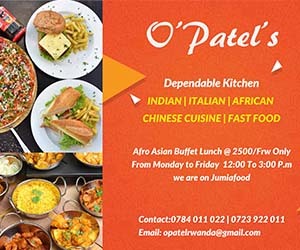 20 percent of the population in Africa is food insecure, of these, Eastern Africa has got the largest number and some reasons for this include conflicts for some places, but also climate change is making the situation worse, because we have very frequent droughts and floods sometimes,” Dr David Phiri said. iv. Improvement of information sharing and networking opportunity amongst the stakeholders, including the global modeling community.